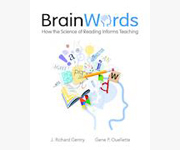 Learn how children's brains develop as they become readers with the new book, Brain Words. 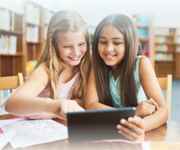 Authors J. Richard Gentry and Gene P. Oullette offer their original, research-based framework that will transform your thinking about how you teach reading. Build the skills needed to drive change in government, education, and nonprofit organizations in one of the few programs to focus on both policy and administration. Earn your master's degree in online or on-campus classes. Apply now. Algebra is a key to college readiness, better employment and overall success for students. But many students lack the fundamental knowledge and skills to succeed in algebra. Join us in New Orleans, July 8 to 10, for NCTM's Interactive Institute for grades 6 to 8 educators, "Algebra Readiness for Every Student." Get the right tools to build a strong math foundation for your students. Learn more and register today! NCTM's Annual Perspectives in Mathematics Education (APME) replaces the NCTM Yearbooks. The first APME volume, Using Research to Improve Instruction, will focus on bringing research to practice and practice to research in mathematics education. The editorial panel encourages chapters that discuss research projects (including classroom-based action research projects) and collaborations that present findings and information that are relevant to both researchers and practitioners. Read more. Resentment is like taking poison and waiting for the other person to die." NCTM SmartBrief aggregates published news and editorial content from diverse sources. The content of NCTM SmartBrief does not necessarily reflect the positions of NCTM or the views of its leadership, and the viewpoints expressed or implied should not be interpreted as official NCTM positions.